What are two main reasons for a relationship to fall off the edge? They are lying and cheating. 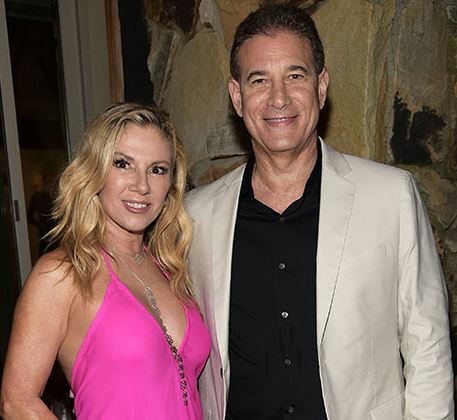 Ramona Singer is one of those who broke the bond with their partner for such reason. She left her husband after finding him cheating. She came to fame after coming in ‘The Real Housewives of New York City’ series. Now let’s take a quick sneak peek into her profile to know her divorce reason in detail as well as her unknown facts through this biography! Born on 17th November 1956, Ramona Singer’s hometown is in Rhinebeck, New York. She is American by nationality and belongs to mixed ethnicity with Polish descent. Her zodiac sign is Scorpio. Nothing much regarding her education and parents detail is known. As per some source, she had a brother named Bohdan Mazur, who passed away in early 2018. Ramona appeared in Bravo series RHONY when she was 52 years old. After being a reality star, she worked with Calvin Klein and The French Connection. She was featured in different top-notch magazines like Women’s Wear Daily, people, and more. Moreover, she is also an entrepreneur of Tru Renewal and Ramona Singer Jewelry. From her career as a reality star, she earned $500 thousand per season in the show. Other income sources of her include her business like True Faith Jewelry, Ramona Singer Collection, and Winery. As an entrepreneur and celebrity, Ramona’s estimated net worth is $18 million as of 2018. Ramona was once a married woman. She exchanged vows with Mario Singer on 14th March 1992. She earlier mentioned how her perfect married life was with him for years. However, they were broken in real life. The things between them began to fall apart when Ramona found out how her husband started an extra-marital affair with Kasey Dexter. Reportedly, she filed a divorce petition against her husband on 30th January 2014. On 22nd December 2015, their divorce was finalized. From her previous marriage, Ramona has a daughter born in May 1995. She named her Avery Singer. Her daughter’s life was also affected by her divorce. Her college grades fell. However, Ramona didn’t let her go down. Moreover, Mario too supported his child. In May 2017, both Ramona and Mario went to the graduation ceremony at the University of Virginia. Both celebrated her graduation and shared pictures on Instagram. After divorcing her husband Mario, her dating life was featured in Bravo’s RHONY. In 2017, she was in love relationship with Steven Gerber. They were seen together attending a charity event in August 2017. However, she broke up with him within a month. Before Steven, she was dating Tom D’Agostino in 2015. However, after a year, she revealed how they were mismatched in an interview. As of now, she is very much single and is not seeing anyone. Well, we cannot confirm her relationship at all, as she has started maintaining her personal life a secret. Ramona is decently tall possessing a height of 5 feet 5 inches and weighs about 64 kilos. She gained 10 lbs after leaving RHONY. According to some sources, her body is measured 37-29-38 inches. Her skin is white toned, has blonde hair and dark brown eyes. She was once rumored getting plastic surgery.